Yummy! Or at least that is what the Solstice dogs say. These are American made natural chew treats and for our mixed dog household (1 old lady German Shorthaired Pointer, 5 Cardigan Welsh Corgis and 1 9 pound Brussels Griffon who runs the house) they work great. 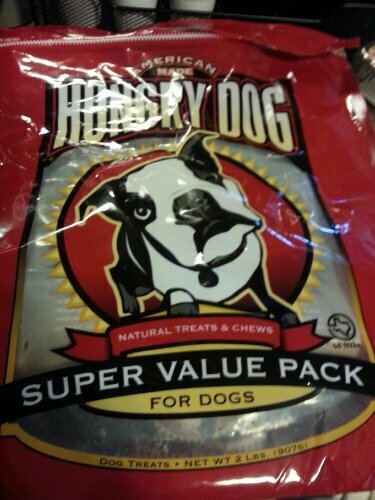 It is a mixed bag of chewy treats, ears, hooves, snouts and tails. The bigger dogs love the harder parts and the little one loves the tails and whatever she can make the big dogs give her. The human is glad they are not greasy or smelly and they make the furkids happy. The Solstice dogs are getting Hungry Dog bags from Santa and Santa is getting them at www.Chewy.com. Chewy has lots of yummy things and they have free shipping for orders over $49 and if you hurry you can get your order for Santa before Christmas.